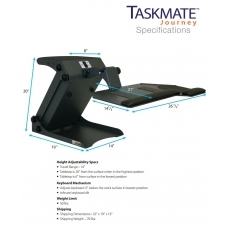 HealthPostures TaskMate Journey Electric Height Adjustable Workstation Range 5.5"-18"
Starting At $860.00 + Free Shipping! 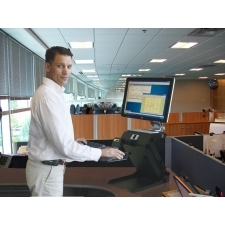 You can stand while working, if you have the HealthPostures TaskMate Electric Height Adjustable Workstation. Sitting down for prolonged periods of time can have dire health consequences. 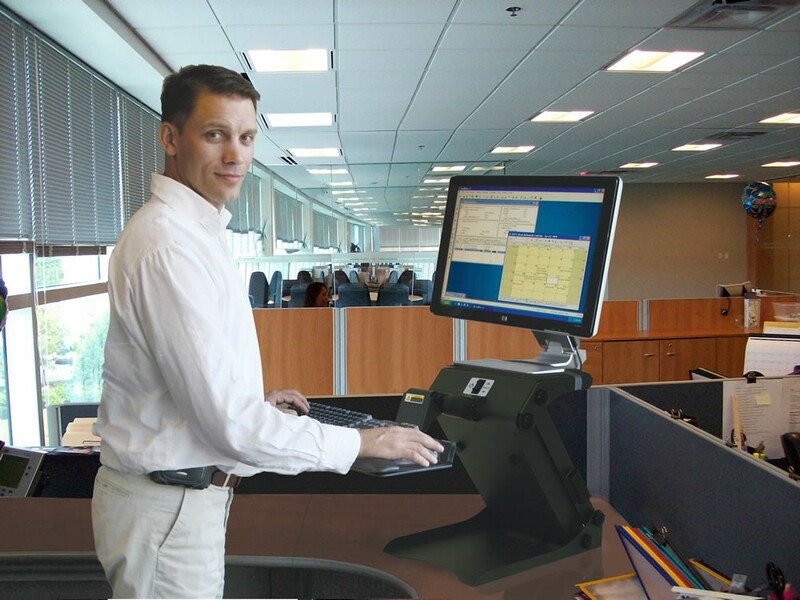 Standing is a healthier alternative and promotes better posture. 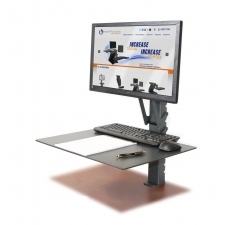 This workstation is electronically adjustable for easy changes. 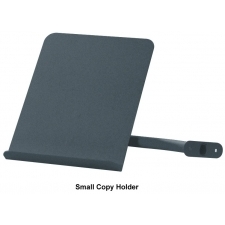 It is easily attachable to most workplace and even comes with an 8" x 10" phone holder. 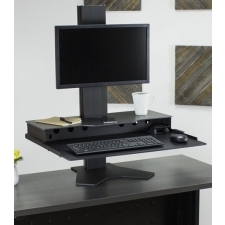 With all of these base features plus more options, including a copy holder and extended work surface, you can't go wrong with investing in this workstation. 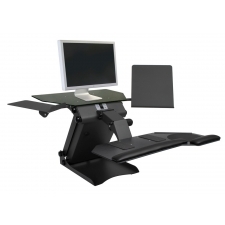 What Is The Best Sit Or Stand Desk Converter? 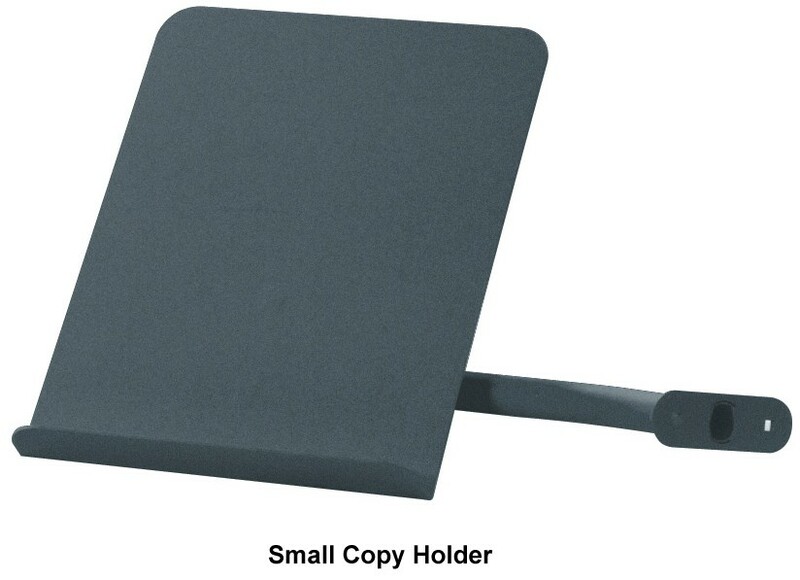 Small Copy/Phone Holder: 8" x 10"
Dual Monitor Arm supports two monitors that weigh up to 17.5 pounds each. Arm features height adjustment, tilt, pan, portrait-to-landscape rotation, and cable management system. 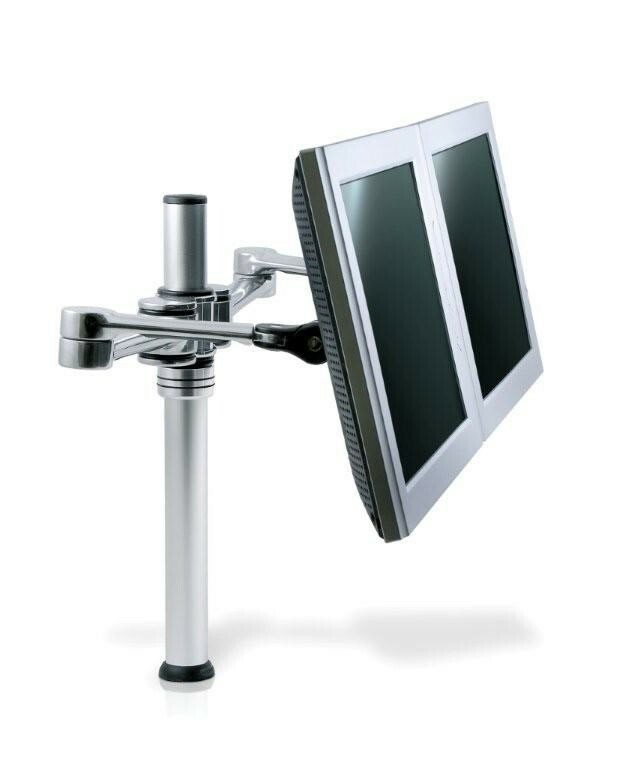 Ships with clamp mount and bolt-through mounting options as well as mounting hardware. 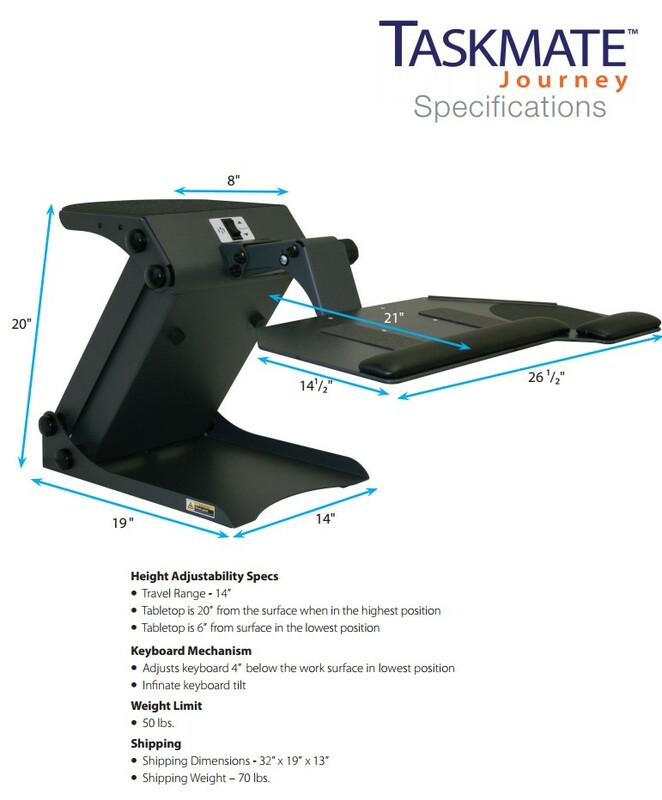 Laptop and Monitor Arm Combo supports one monitors that weigh up to 17.5 pounds and one laptop that weighs up to 17.5 pounds. 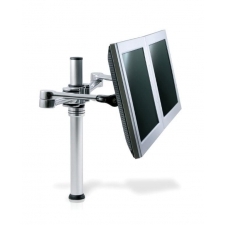 Arms are height- and tilt-adjustable, and monitor arm features portrait-to-landscape rotation and cable management system. 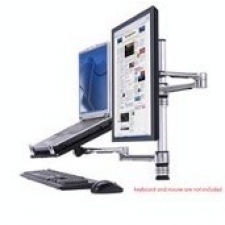 Ships with clamp mount and bolt-through mounting options as well as mounting hardware. The warranty is extended to the original purchaser/customer and commences on the purchase date from the seller/dealer. 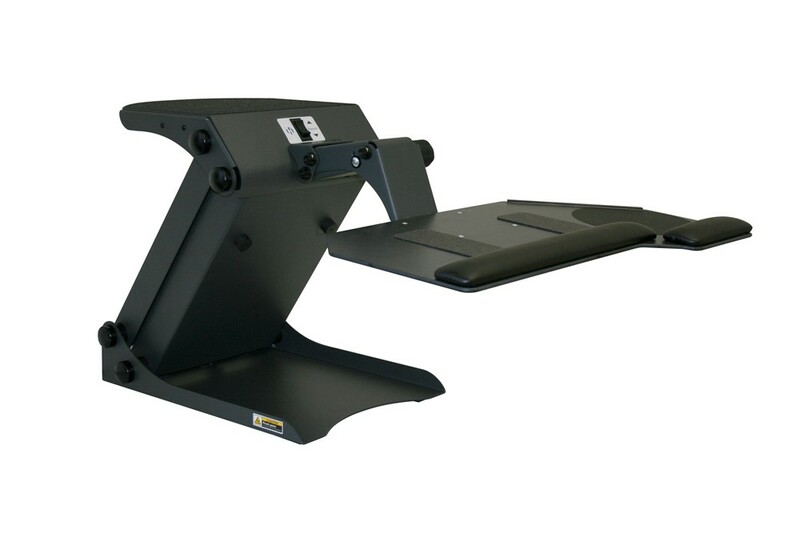 HealthPostures (HP) warrants its TaskMate to be free from defects in materials or workmanship for a period of 5 years from the date of shipment.